Selecting the best nursing school in New Mexico can be difficult. To make the process easier first look for a school that supports students towards licensure and beyond. A great way to measure this is through NCLEX-RN "pass rates." We have ranked the top 10 nursing schools in New Mexico by analyzing current and historical NCLEX-RN "pass rates", meaning the percentage of graduates who pass the exam, out of the 21 RN programs in the state. Programs reviewed include schools that offer an Associate in Nursing (ADN/ASN), BSN, or Direct-Entry MSN Degree. The southwestern state of New Mexico has placed great emphasis on healthcare employment in recent years. 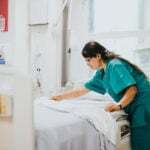 In fact, the New Mexico Department of Workforce Solutions reports that employment of registered nurses is the highest amongst healthcare practitioners and technical occupations in the state, making it one of the fastest growing occupations. It also offers great salary opportunities, as the Bureau of Labor Statistics reports the average RN salary in New Mexico at $66,030. If you're not quite sure where to start, look into earning an Associate's Degree in Nursing (ADN). This is one of the fastest ways to become an RN, as the program is just 2 years in length. It's also highly accessible as it's usually offered at smaller colleges like junior and/or technical schools. The state of New Mexico has more than 10 schools with ADN programs to choose from. These schools are scattered all throughout the state. Choosing a school with proper accreditation is huge. This is an easy way to ensure that you will receive a quality nursing education. 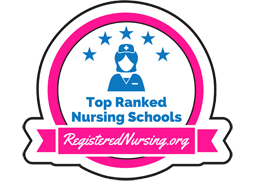 National organizations like the Commission for Education in Nursing (ACEN) and/or the American Association of Colleges of Nursing's Commission on Collegiate Nursing Education (CCNE) are two big ones to look for, but there are others out there as well. You'll also want to check with the New Mexico State Board of Nursing to be sure that your desired program is approved locally by them. Upon completion of your ADN program, you'll need to take the National Council Licensure Examination (NCLEX). Once you pass this test, the New Mexico Board of Nursing can issue you a nursing license. It's a good idea to take a look at a prospective school's curriculum, and maybe even speak to some faculty, to be sure that their program will prepare you for this important exam. The American Association of Colleges of Nursing reports that in 2015, 83% of new nurse grads in New Mexico who took the NCLEX received a license. Santa Fe Community College is one school in the region that offers an accredited ADN program. Cost is one of the biggest things to consider when deciding on an ADN program. Tuition is the main cost, and can vary drastically depending on the school. Then you'll have to remember to factor in additional mandatory fees, like lab fees, equipment, uniforms and things of that nature. There are other indirect costs as well, such as transportation, room and board, and parking. For example, the tuition per semester for the ADN program at New Mexico Junior College in Hobbs, NM, has a maximum cost of $420.00 for 12 credit hours or more for in-district residents, not including special fees. If you are looking for a nursing program that's relatively quick, readily accessible, and affordable, an ADN is a perfect choice. The 2-year length suits many students who want to begin their nursing careers as soon as possible, and the fact that they are found in many small, community colleges makes it easy to find one throughout the state. They also tend to be cheaper than longer, more advanced programs, so budget-conscious students have an option to suit their needs. For those who want a traditional college experience paired with a more advanced nursing degree, a Bachelor's of Science in Nursing (BSN) is an excellent route to becoming an RN. At 4 years in length, it's slightly longer than an ADN program, but the job advancement and salary opportunities will grow exponentially with this degree. 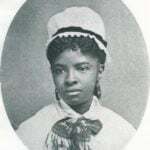 In fact, many management positions in nursing require at least a BSN degree. There are also BSN options for those who already hold a Bachelor's degree in a different subject (called an accelerated BSN) and for RNs who want to advance with a BSN (called an RN to BSN program). New Mexico has roughly 5 schools that offer a BSN program. There are a lot of things to consider as you research BSN programs in the state. You'll want to ensure that your program of choice is properly accredited, in a good location for you, and has favorable outcomes. If you are looking for an accelerated BSN program, or an RN to BSN, you'll need to make sure that these are program options your school provides, as not all schools offer these specialized BSNs. As an example, New Mexico State University in Las Cruces is one school in the state that offers a properly accredited BSN program. If you are looking to enter a traditional BSN program, you can expect it to take 4 years to complete. Your training will consist of general education courses, as well as more specific nursing training. If you already have a Bachelor's degree or higher and are interested in an accelerated program, they typically take about 15 months from start to finish. Those looking into RN to BSN programs can expect it to take between 1-2 years to finish. You can expect a few things in regards to the cost of your BSN degree. First is tuition; this is typically the largest cost associated with your degree. Next are extra miscellaneous expenses which are mandatory, indirect costs. These include things like textbooks, lab fees, transportation, and more. Make sure you understand all the costs of your program of choice before you settle on a school. To give you an example on cost, the tuition and fees for the BSN program at the University of New Mexico in Albuquerque is approximately $6,250.20 per semester for up to 18 credits for in-state residents. BSN programs are fantastic route to earn your RN license. They are more in-depth than shorter nursing programs, and upon completion will give you the opportunity to apply to more advanced nursing jobs and potentially earn more money. The availability of accelerated programs and RN to BSN options make it one of the most versatile nursing degrees you can earn, and something that's accessible no matter where you are in life. If you're interested in a nursing education with maximum potential, a Master's of Science in Nursing degree (MSN) might be for you. Although you must already hold a BSN before you can enter this program, advanced careers such as Clinical Nurse Specialist, Certified Nurse Midwife, Nurse Practitioner, and more await you upon completion of the degree. 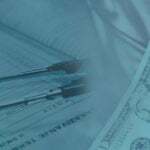 Registered nurses with an MSN also have the potential for higher salaries. A handful of schools throughout New Mexico offer accredited MSN degrees. An MSN will take you approximately 2-3 years to complete from start to finish. This can fluctuate a bit based on the school you choose and the type of MSN specialty are interested in, as some specialty programs require a few more credits. MSN programs are usually fairly flexible, as they are designed for busy working nurses. Evening and online classes are commonly offered for this type of degree. An MSN will build upon the courses you took during your BSN education. While tuition will most likely be the biggest cost you'll face with an MSN, you'll also need to account for other mandatory fees. Textbooks, lab fees, equipment and uniforms are all normal costs that aren't always included in the tuition price. To provide an example, the cost of tuition for an MSN at the University of New Mexico is $573.18 per credit for New Mexico residents (out of state tuition tends to be more; check with your school of choice for details). 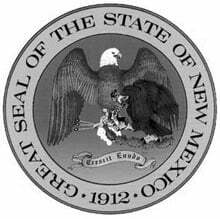 New Mexico Board of Nursing regulations for licensure under examination or by endorsement require candidates to submit certain supporting documentation. The benefits of holding a degree in nursing is being sought after by employers because of the proven track record of BSN or MSN nursing candidates. BSN or MSN nurses are said to be preferred when hiring for new job opportunities. Take one of the 12 to 18 month accelerated programs and become a preferred nurse. Gaining entrance into this program is dependent upon meeting the entrance criteria, which could mean completing various prerequisite courses. Meeting the criteria could mean taking extra time to finish the program, and can also add to the cost of tuition. Tuition costs for every program are different, so get in touch with the college and inquire about the fees. San Juan College in Farmington, New Mexico has flexible offerings to assist every nurse and pre-licensure nursing student fulfill their career aspirations. With emphasis on the BSN track, graduates apply leadership models learned at college to the profession of nursing. Learn more by visiting the San Juan College nursing website. Eastern New Mexico University - Roswell campus is home to acclaimed associate of science in nursing degree tracks. Ethical, experienced nurse educators form undergraduate nursing philosophy with great care, resulting in strong and responsible graduates who are a credit to their profession. Follow the link to learn more about the Eastern New Mexico University nursing program. New Mexico Junior College in Hobbs is located in the southeast corner of the state. With classroom, lab and clinical rotation, NMJC graduates have been achieving professional success in the nursing vocation since 1965. Learn more by visiting the New Mexico Junior College nursing website. 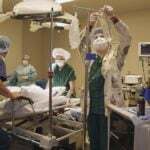 New Mexico State University - Albuquerque offers a pre-licensure BSN degree program that combines on-campus classroom learning with experiential clinical courses in medical settings. This four-year program requires 32 credit hours per academic year. Graduates are well prepared to provide evidence-based nursing care across various populations. Get all the program details by visiting the University of New Mexico - Albuquerque website. New Mexico State University - Carlsbad campus fosters BSN and MSN degree nursing students who excel in their profession because of the mix of clinical experience and theoretical knowledge gained throughout their time in school. Check out the official New Mexico State University - Carlsbad nursing program. Clovis Community College is located in Clovis, New Mexico. The college's Nursing Program is a Full Member of the New Mexico Nursing Education Consortium (NMNEC) and is home to the following nursing degree and certificate programs: Associate of Applied Science in Nursing and Certificate of Achievement in Health Care Assistant. Follow the link to learn more about the Clovis Community College nursing program. Brookline College - Albuquerque campus fosters a renowned nursing education program. With BSN and MSN offerings that include transfer and pre-licensure tracks, Brookline College is ready to meet the need for nurses in New Mexico. Follow the link to learn more about the Brookline College nursing program. University of New Mexico - Gallup campus is home to excellent BSN and MSN degree tracks within the college of nursing. Graduates are adept at continually improving their practice, as well as remaining accountable to the nursing code of ethics. Check out the official University of New Mexico - Gallup nursing program. The University of New Mexico – Valencia, located in Los Lunas, offers an ADN pathway for aspiring registered nurses. Enrolled students are prepared to provide nursing services for rural populations, and the curriculum is student-centered, quality, and diverse. This ACEN-accredited program boasts an 80%-100% completion rate within six semesters. Follow the link to learn more about the University of New Mexico - Valencia nursing program. Albuquerque’s Central New Mexico Community College boasts an ADN program pathway that emphasizes a holistic approach to nursing. The curriculum consists of a mix of classroom, laboratory, and supervised clinical experiences to give students a solid educational foundation. The program is ACEN-accredited and a member of the New Mexico Nursing Education Consortium (NMNEC). Visit the Central New Mexico Community College nursing website to learn more.